EDCOUCH — The Board of Aldermen on Thursday fired interim City Manager Eddy Gonzalez who pleaded guilty to tampering with a government record while an alderman in 2016. After discussing the interim city manager role in executive session, aldermen appointed Pete De La Cruz, the city secretary and elections administrator, to serve in the interim while the city seeks a permanent city manager. “It’s obvious we need a full-time city manager,” Mayor Virginio Gonzalez Jr. said following the meeting. Eddy Gonzalez, who was absent from the meeting, could not be reached for comment. 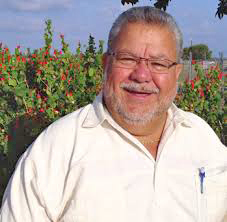 While serving as interim city manager, Gonzalez attempted to unseat Alderman Rene Flores. Voters re-elected Flores to a second term in November. Flores, prior to the election, said the city could see “drastic change,” if his entire slate was elected. Edcouch voters chose Flores’ “United for the Community” slate, electing aldermen Joel Segura and Lencho Cabrera. Before the election, Flores and Cabrera expressed concern about Eddy Gonzalez serving as interim city manager. Gonzalez was sentenced to probation for altering a bid proposal submitted to the city by Quality Waste Management, a trash collection company, which wanted to service the city. Firing Eddy Gonzalez marks the new majority’s first step in implementing their priorities, which include “cleaning up” Edcouch and bolstering its parks. A residency debacle, however, temporarily prevented the new majority from advancing their priorities. In an October letter, De La Cruz, the new interim city manager, accused Segura of living in neighboring Elsa, instead of in Edcouch as required by law. De La Cruz, however, directly reported to Eddy Gonzalez. While it’s unclear if Eddy Gonzalez directed De La Cruz to write the letter, police Chief Eloy Cardenas testified that the now former interim city manager ordered him to conduct an investigation into the residency issue. A week after the election, Segura filed a lawsuit and requested a temporary restraining order to stop city administration and the board from further interfering with his duties as a recently elected alderman. Last week, visiting state District Court Judge Robert Garza issued a permanent injunction in Segura’s favor, ordering the city to continue allowing Segura to serve on the board. Segura’s attorney Michael Pruneda and the city’s attorney Javier Villalobos questioned several witnesses, during last week’s hearing, including the police chief who said Eddy Gonzalez instructed him to file a complaint about Segura’s residency with the Texas Attorney General’s Office. The board of aldermen fired Villalobos during Thursday’s meeting and appointed Orlando Jimenez as city attorney. Jimenez, who said he is “excited” to serve as city attorney, spoke to The Monitor on behalf of Segura following the issuance of the controversial letter in October. However, Pruneda ultimately ended up representing Segura in court. Edcouch is accepting applicants for city manager. The board could name one by the end of the month.